Our Faculty is Catechetical Certified. Each teacher is highly qualified to lead our students through their spiritual formation. 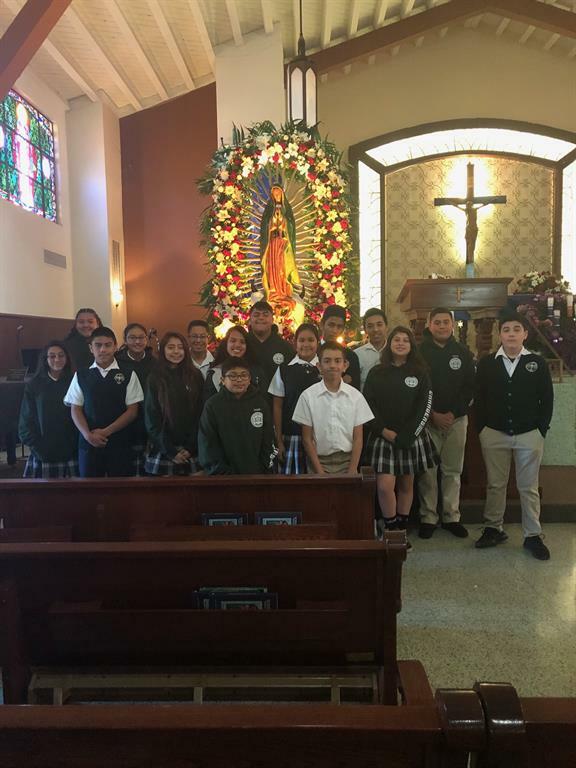 In addition to daily prayers, our school community attends weekly Friday Mass. Our students serve as altar servers, and actively proclaim the gospel. Our Religion curriculum is a spiral, integrated and thematic curriculum that presents the key concepts of faith each year in a deeper and broader way as the student grows more capable of understanding and living in discipleship. We Believe also encourages understanding of major faith statements, catechism connections, scripture, saints and devotions.